Saint Francis of Assisi Celebrates Advent! Be vigilant and pray. That is Jesus’ message to us as we begin Advent. There are so many things in our culture that compete for our attention, especially in these difficult times. They can cloud our vision and make us spiritually drowsy. The Church suggests that our Advent rituals and spiritual practices help us to remember, in faith, that God is with us – Emmanuel. DID YOU KNOW THAT WE WILL CELEBRATE A HOLY YEAR OF MERCY ? Pope Francis will open "The Jubilee Year of Mercy" on December 8, 2015, the fiftieth anniversary of the closing of the Second Vatican Council. Here are a few important themes for reflection during this important year. Jesus of Nazareth, Pope Francis writes in Misericordiae Vultus, the Bull of Indiction of the Extraordinary Jubilee of Mercy, is the “face” of the Father’s mercy—he reveals the mercy of God by his words, actions, and person. We follow Jesus’ example when we open ourselves to the Father’s mercy by looking “sincerely” into the eyes of our brothers and sisters, including those “who are denied their dignity.” How have you experienced the Father’s mercy in your own life? How might Jesus be calling you to look “sincerely” into the eyes of those who are denied their dignity? Pope Francis writes: “It is absolutely essential for the Church and for the credibility of her message that she herself live and testify to mercy.” Mercy, he says, is “the beating heart of the Gospel” (Misericordiae Vultus). To live mercy, we must rediscover both the spiritual works of mercy (counsel the doubtful, instruct the ignorant, admonish sinners, comfort the afflicted, forgive offences, bear patiently those who do us ill, and pray for the living and the dead), and the corporal works of mercy (feed the hungry, give drink to the thirsty, clothe the naked, welcome the stranger, heal the sick, visit the imprisoned, and bury the dead). Which spiritual works of mercy might Christ be calling you to practice? Which corporal works of mercy? “True mercy, the mercy God gives to us and teaches us,demands justice, it demands that the poor find the way to be poor no longer,” Pope Francis notes. “It asks us, the Church, us, the City of Rome, it asks the institutions — to ensure that no one ever again stand in need of a soup-kitchen, of makeshift-lodgings, of a service of legal assistance in order to have his legitimate right recognized to live and to work, to be fully a person” (Address to Jesuit Refugee Services, 9/10/13). In your own life, and in your faith community, how do you work for justice? Do you seek to address the root causes of problems that affect those who are vulnerable? There are many ways we can respond to the call to live mercy. Here are a few ideas: Put Two Feet of Love in Action. Use the “Two Feet of Love in Action” guide to consider how you can strengthen both charitable works and social justice at home and as part of your faith community. Visit www.usccb.org/twofeet for more information. In today’s Gospel, Jesus makes it clear to his disciples that generosity is an attitude, not an amount as he points out the widow’s contribution to the temple treasury. Through the hospitality we give to those in need, we become the response: God hears the Cry of the Poor. Children's Gospel: All children in grades 1 to 6 are dismissed with a Catechist to explore, pray and listen to the Sunday Gospel in words that our children can understand at the 9:15AM Mass in English and at the 1PM Mass Spanish. Children return to their parents at the time of the creed. Join us for a special Mass at Bardsdale Cemetery, Monday, November the 9th at 11AM. During the Month of November, we honor the memories of our loved ones who have gone before us marked with the sign of faith. Please invite your family and friends to join us for this special Mass. May the souls of the faithful departed through the mercy of God rest in peace. The families of Saint Francis have built a Perpetual Adoration Chapel and take turns praying before our Eucharistic Lord.To sign up for adoration or for information please contact one of the following leaders: Delia (661) 886-1592, Olivia 368-4944, Rafaela 990-7603, or Toni 844-9760. The Bardsdale United Methodist Women will be honoring our country's veterans with their annual Veteran's Day Luncheon on Wednesday, November 11, beginning at 12 noon in LeBard Hall. This yearly, buffet-style turkey luncheon allows members of the community to join together to salute our local veterans who have given of themselves to maintain the freedom we all hold so dear. This Saturday, November 7, Bardsdale Church is sponsoring a tour of four beautiful Bardsdale residences and the historic Gothic-style church from 10 am until 3 pm. Guests will enjoy a variety of architectural styles and appointments as they visit the homes in the rural community of Bardsdale- the town that never was. Tickets for the tour are $25.00 per person and can be purchased at the church or any of the homes. Light refreshments will be available at the church. For more information, call the church at 524-2070 or Joanna at 524-0312. The score-plus of wars in the Middle East have done something that the Ottoman Empire, the last Islamic caliphate, was unable to do--invade Europe and the US without firing a shot. Hundreds of thousands of Islamists are entering Europe and the US as war refugees, a resettlement directed by the pro-Islamic United Nations. This invasion by Islam contains peaceful families that want to get out of war torn areas as well as militant terrorists embedded in the population and disguised as refugees. Neither European nor US officials can separate the two. But one thing for certain: these are not folks who are going to embrace the US or European culture and assimilate. They are death-cult colonists. Jeremiah 51:14 speaks of the Lord's judgment of Babylon for its enthusiastic destruction of His people, saying: "Surely I will fill thee with men, as with locusts; and they shall raise a battle cry against thee." The US and Europe are not Babylon, but both match some of the descriptors written by Jeremiah of sinning against the Lord, the habitation of justice. Both the US and Europe have advocated in the strongest terms the division of the land of Israel and have accepted the lies of Islam, those who wish to not only occupy the land of Israel, but to destroy the Jewish people. There are consequences to the actions of leaders, and Europe and the US have been cause to the current invasion. The West is being resettled. Where Islam goes, crime, violence and destruction follow like that of the locust. WorldNetDaily reports that Austrians are arming themselves at record rates to defend themselves from anticipated attacks by Muslim invaders, but obtaining a firearm and ammunition in Germany, Britain, Denmark and the Netherlands is practically impossible for the average citizen. And self-defense is not even a valid reason to purchase a gun in these countries.The New York Times reports that Australia's former prime minister Tony Abbott warned in London that the continent risked "fundamentally weakening itself" through "misguided altruism" as large numbers of asylum seekers arrive, and that these countries are "now in peril." The legal immigrants who built America came to the US for opportunity and freedom. They assimilated as Americans, the ideal of what being American means. They adopted our language, our work ethic, our customs, our spirit of exceptionalism, our laws and our dreams of making the world a better place. The vast majority of those coming in today have no intention of becoming "American." They have come to colonize and impose. This presents a quandary for the Church. Exodus 22:21 says, "You shall neither vex a stranger, nor oppress him." Also, Numbers 15:16 says, "One law and one ordinance shall be for you and the stranger that sojourns with you." These "immigrants," legal or illegal, are here. We need to deal with it. There are laws that need to be followed and the gospel needs to be shared. With the peril there is opportunity. It is very eye-opening and disturbing to learn just how the US "president's" policies have enabled a holocaust within the Christian communities in the Middle East and Africa perpetrated by Islam. Frustrating is that those of us who know and understand the truth of this matter find it difficult to do anything about it. Injustices are taking place and those in power are winking and nodding at them, using their words to placate, but doing nothing substantial to end them. We cannot allow frustration to prevent us from action. The lives of our brothers and sisters in Christ are in the balance and we have to start calling out what we know to be true. Their voices are not heard. They need a voice. We need to make it an issue. Let me relay a story to you as written by a long-time Daily Jot reader: "This past weekend my brother-in-law who is a doctor, wrote an article...talking about the Muslim atrocities and their evil god. His daughter, my niece, said people at work had sneered at her and mocked her because of the article. She was upset because her father had taken a public stand against Islam and called it what it is, a monstrous evil. She was afraid he might be attacked or killed. I told her that not long ago I had to make that decision myself. Was I going to let the fear of being attacked or killed prevent me from speaking out in every public forum I could find, or was I going to do what God has called me to do, be salt and light. I decided I would speak out and let God protect me. I told her that her father had done the right thing by his actions. "Even here in America where we aren't really in that much danger, the Muslims have done such a good job of terrifying people that we're afraid to speak out. If we don't fight now, from a position of strength, then when we reach the point that we MUST fight or be destroyed, we will likely be fighting from a position of weakness...I keep remembering the verse from the book of Revelation (12:11), "And they overcame him (Satan) by the blood of the Lamb and the word of their testimony, AND THEY LOVED NOT THEIR LIVES UNTO DEATH." Jesus says those who will save their lives will lose them, but those who lose their life for Christ's sake will find them... Keep putting the truth out. Some people will act on it." This is an example of the complexity of what we face. But we must act. Nothing is being done because the voices are not loud enough. What can you do? You can talk it up every where you go. Say, "Did you know that our "president" is allowing Christians to be massacred in the Middle East and Africa?" That will start the conversation. Write your newspapers. Call in to radio shows. Organize a protest. Be a voice as if it were your very own family member was about to be tortured by these Islamic beasts. What would you do? In Africa, we are reaching out in rural areas to evangelize the Muslims and to support Christians who are at risk. If you want to support our efforts, we always need assistance. Whatever you do, take the first step. Let's make this an issue. VENTURA, CA - Pope Francis’ recent canonization of St. Junipero Serra, founder of Mission San Buenaventura (1782), will be celebrated November 21 at the historic Main Street church in downtown Ventura. Archbishop Jose H. Gomez of Los Angeles will preside at a bilingual Mass, to be preceded by a 6:00 p.m. candlelight procession, starting at the site of the former Chumash Hutash Festival and San Miguel Chapel, at Thompson and Palm Streets in Ventura. The procession will conclude at Mission San Buenaventura, 211 E. Main St., at which point the Mass will begin. The Mass is also among the first in a series of events connected to the 150th anniversary of the City of San Buenaventura’s Incorporation in 1866. The city’s roots (and its official name) trace to Mission San Buenaventura’s founding by Father Serra on Easter Sunday, March 31, 1782; it was the ninth and last mission the Franciscan priest founded in California before his death in 1784. “The canonization of Saint Junipero Serra offers us an opportunity to reflect on the evangelization and religious legacy the Franciscan Friars initiated through the Mission system in Alta California,” said Father Tom Elewaut, Mission pastor, who was among those present for the canonization ceremony September 23 in Washington, D.C.
“This is also a time for recognition and integration of the First People of the Land who helped the padres establish the Missions and our Catholic legacy,” said Father Elewaut. He noted that the establishment of the missions provided the foundation for the growth of Catholic Church ministries: parishes, educational communities, health care facilities, and numerous outreach organizations like Catholic Charities and St. Vincent de Paul Societies. Concelebrating priests for the Nov. 21 Mass will include Auxiliary Bishop Robert Barron, recently named Episcopal Vicar for the Santa Barbara Pastoral Region of the Archdiocese of Los Angeles. 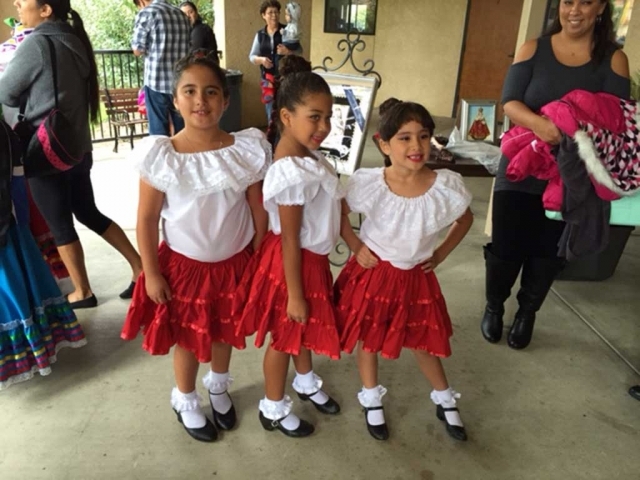 San Buenaventura parishioners will be joined by clergy, religious and parishioners from the 37 parishes of the Santa Barbara Region (Ventura and Santa Barbara Counties). The Mass will be live-streamed in the Mission’s O’Brien Hall in order to accommodate the anticipated overflow of worshippers. 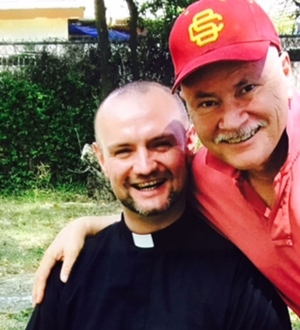 A reception will be held in the Mission Garden following the Mass. General parking will be available at the Ventura County Fairgrounds (Harbor Boulevard at Figueroa Street) with shuttle transportation provided to the procession site. Additional parking is available at the Museum of Ventura County lot and the lot behind the Knights of Columbus Hall off Santa Clara Street. What is work? Why do we do it and what are we working for? What does God want from our work? What does our work mean in light of our Catholic faith? I’ve been thinking about these questions a lot this summer as we’ve been implementing the new organizational structure at the Archdiocesan Catholic Center. And in my columns over the next couple of weeks, I thought it might be helpful to write about work — which is something most of us do every day but seldom think about or reflect upon. One of my favorite members of the Communion of Saints was an auto mechanic. Blessed Salvador Huerta Gutiérrez led an interesting life. He was born in Magdalena, Jalisco, Mexico, in 1880. He was cultured. As a young man he often attended the opera with his brother, Ezequiel, who himself became an accomplished singer. For a time, Salvador worked as an explosives technician in the mines. Later he landed a job repairing train engines. After he married in 1907, he settled down and opened up an auto repair shop in Guadalajara. Blessed Salvador was known for his professionalism and expertise. But his customers and employees also knew that he was a devout Catholic — a good husband and a good dad to his 12 children. They knew he went to Mass every day, that he often paid visits to the Blessed Sacrament, that he prayed with his family and went to confession regularly. The point is that Blessed Salvador wasn’t a good mechanic and a good businessman who happened to be a good Catholic. He was a good mechanic and a good businessman because he was a good Catholic. From the very beginning, the Catholic Church has always been the spiritual home for people like Salvador Huerta Gutiérrez — ordinary working men and women, entrepreneurs, small business owners, laborers. If you read the writings of early Church leaders, you notice them talking about the kinds of people in their congregations. They were the men and women who formed the backbone of the local economy — farmers, shoemakers, weavers, smiths, carpenters, traders, homebuilders, bakers and more. We take that for granted today. Of course, you know that the people you sit next to in church on Sunday also work in your community, in all sorts of different trades and occupations. But in the early days of Christianity, the Church was widely criticized for welcoming ordinary working people. Celsus mocked people for believing in Jesus because Jesus was born into the home of an ordinary carpenter and worked himself as a carpenter. This says a lot about the culture that the first Christians lived in. The elites of the ancient world believed that any kind of work — especially manual labor — was something only fit for slaves. Ordinary commerce was also looked down upon as vulgar and unworthy. You find this attitude in the writings of Plato, Aristotle, Cicero and others. The Church’s attitude toward work was different from the start. In fact, it’s no exaggeration to say that the Catholic Church is the first institution in human history to respect the dignity of work. And it’s true also that there is no other sacred book that has more to say about work than the Bible. So this week, let us pray for one another. And let’s pray for our work — that like Blessed Salvador Gutiérrez, we might always work with integrity and seek to serve God and our neighbors through our work. And let’s ask our Blessed Mother Mary to show her maternal care to all those who cannot find work or do not have enough work. 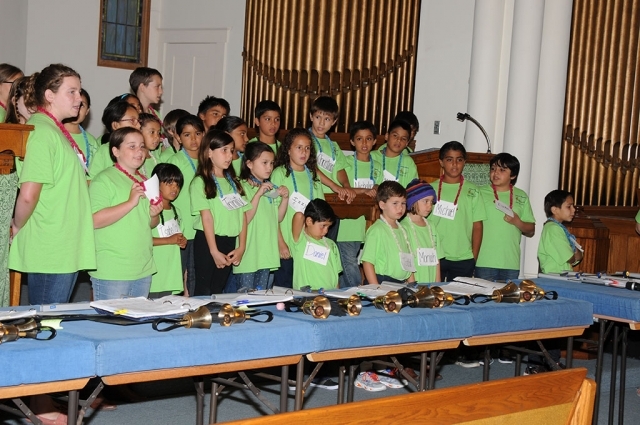 The Fillmore Bardsdale Jubilee Camp, held the last week of July, presented their musical program on Friday, July 31st. The church was packed with families and friends who enjoyed the music and singing. A rootbeer float party followed. 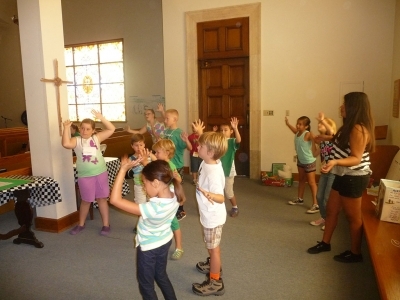 The Bardsdale Methodist Vacation Bible School ‘Music Zone’ was popular with the kids! 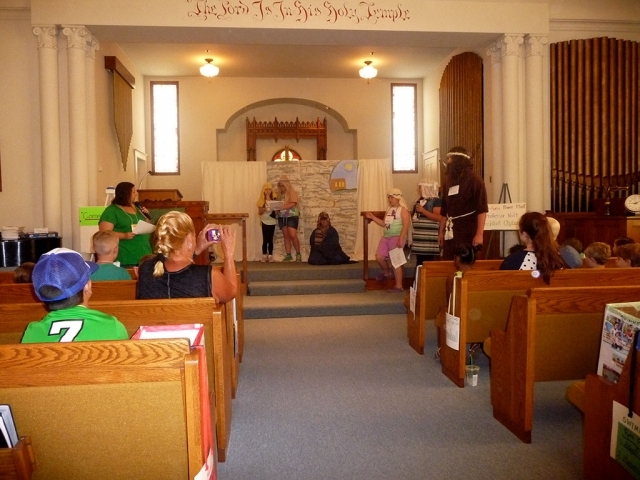 On Friday, July 17th another exciting year of Vacation Bible School came to an end with the closing ceremonies of the Bardsdale United Methodist Church's Vacation Bible School. The Church has been serving the Santa Clara Valley for 123 years! This year's theme was Move, Act, Care, Follow and Share at G-Force: God's Love in Action Vacation Bible School. This year the Bardsdale United Methodist Church's (B.U.M.C.) Vacation Bible School (V.B.S.) began on Monday, July 13th and ended on Friday, July 17th. There were approximately 90-100 registered children ages 3 years to college age who attended each day from 9:00 am to 12:00 noon at the Church. The cost to each participant was $15 which also included daily healthy snacks and materials used for instruction. There are five “Zones” each participant rotates through each day; Bible Scripture Zone (Tara Luedtke), Music Zone (Teresa Norris), Crafts Zone (Linda Wareham), Recreation Zone (Brooke Heinrich) and Science Zone (Susan Johnson). In addition to watching a “Bible Drama,” where children are the actors, at the start of the V.B.S. Day, I was given a tour, which included a narrative of each Zone's activities, at the various “Zones” by Drama Director Carolyn Dorton-Diaz. One of the areas we visited was the newly remodeled “Sunday School” room. 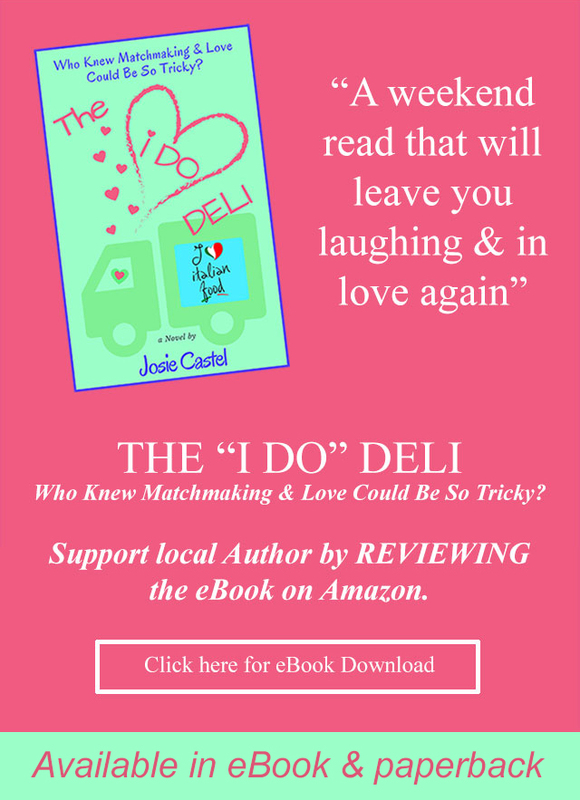 “The room was completed with a combination of volunteers who moved furniture, painted, assembled cabinets and a commercial vendor who placed the new carpet,” Carolyn proudly told me. The children all appear to enjoy their activities and were very interactive with their instructors. I spoke with Staff Member Mark Hurd who coordinates the Youth Group. 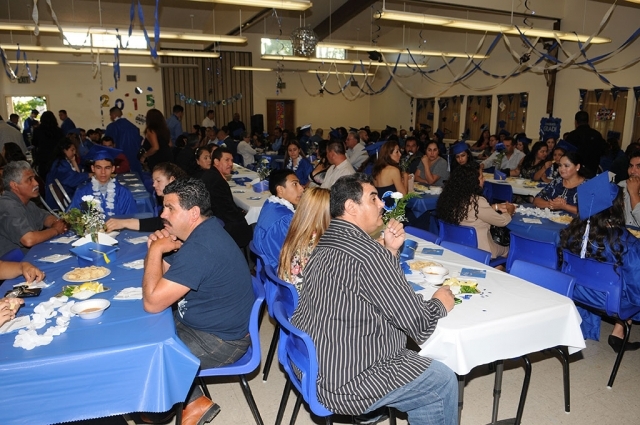 The Youth Group consists of participants from 7th Grade to College. The Youth Group, in addition to Bible Study, learn important tasks that they are able to use now and throughout their lives. In years past they learned how to mix and pour concrete and in today's lesson they were learning how to dig a hole using a post hole digger. It's not just busy work because the holes will be used for posts for a fence. I have covered the B.U.M.C. Vacation Bible School a number of times and each year the theme is different, but Carolyn tells me, “Many of the participants return year after year! As do the staff and volunteers!” From what I see at each visit, I believe the B.U.M.C. provides a valuable opportunity for children to learn by doing. Welcome Pastor Bethany to your first, of many I am sure, B.U.M.C. 's Vacation Bible School. Congratulations to Director Sharon Hurd, staff and volunteers for another fine Vacation Bible School. "Father, imagine that you are seated on the side of a small hill. Before you is a vast plain, in the center of which is a green oasis. Shepherds lead their flocks from every compass point to that oasis for cool, life-giving water. The flocks mingle together and become one large, white-gray mass of sheep. Even as more flocks join the gathering, one shepherd after another separates himself from the crowd and whistles, gently sings or calls his sheep. His sheep alone recognize their shepherd’s voice, separate themselves from all other sheep to re-join their master’s flock and go on their particular way. You have been the Master’s voice for us, your flock, during these past seven years. We have heard your voice proclaim Good News at Holy Mass, impart mercy to us in the confessional, speak comfort to our hearts in times of sorrow and anoint us with blessing in times of joy. You have been the priestly channel of God’s graceful, merciful love to us, your flock. What we have received from you is the fruit of your obedience to God’s call to the Holy Priesthood, the fruit of your spiritual life in conversation with your Lord. It is His voice we hear in your words. You are leaving us, in obedience to your Bishop. God blesses your obedience. You can count on that blessing in your ministry to your new flock. Of course it is with a sense of loss that we bid you farewell. But we know that, just as the Lord has blessed us with your presence so will he bless us with a new shepherd whose voice we will come to know and love. Thank you, Father Art, for being a Good Shepherd after the Lord’s heart to this little flock here at St. Francis of Assisi. We will miss you. As you go to bless the new flock, which the Lord asked you to tend, you will remain in our hearts and in our prayers. Know that you are always welcome here. Dear shepherd, we love you." Bardsdale United Methodist Church invites all children to Move, Act, Care, Follow and Share at G-Force: God's love in Action Vacation Bible School. Children, ages 3 to 18, will explore and experience serving God and others with active love! The fun begins July 13 to July 17 from 9 am to noon. The church is located at 1498 Bardsdale Avenue at the corner of Ventura Street. The adventure includes music that will energize your ears; interactive Bible fun: super science projects; cool crafts and mission work; snacks; great games and more. To be part of the excitement, call Sharon Hurd at 524-0587 or the church at 524-2070 between the hours of 10 am and 1 pm on Tuesday, Wednesday or Thursday. 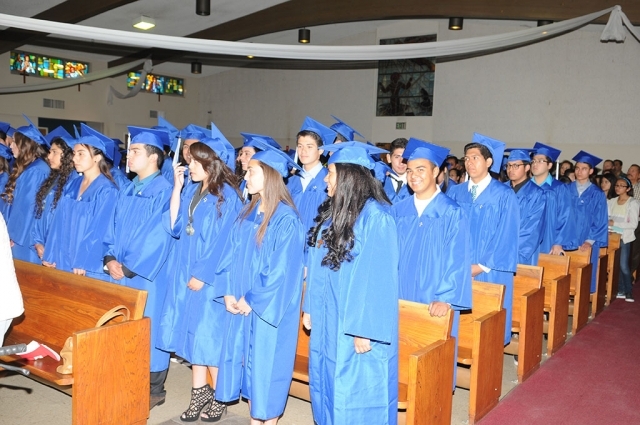 A baccalaureate Mass was held at Saint Francis of Assisi on Saturday, June 6th, a celebration that honored the graduating senior class from Fillmore High School. The Baccalaureate ceremony is a service of worship in celebration of and thanksgiving for lives dedicated to learning and wisdom. It is believed to have originated at the University of Oxford in 1432 when each bachelor was required to deliver a sermon in Latin as part of his academic requirements. Inset, dinner was served afterwards. This Saturday, April 25, the Bardsdale United Methodist Women will hold their semi-annual Courtyard Sale from 8 am until noon in LeBard Hall and parking lot. Loads of bargains are waiting for both the serious and casual shoppers in all areas of household items such as clothing, kitchenware, tools, books and more. There is plenty of grass parking behind the church and help will be available to assist in loading your vehicles. The church is located two and a half miles south of Fillmore at 1498 Bardsdale Avenue. If you are looking for a church home, please join us on Sunday mornings at 10 am. There are a couple of events at the Bardsdale United Methodist Church that are worth noting in your calendars. On Saturday, April 25, from 8 am until noon, the United Methodist Women will have their Spring Courtyard Sale in LeBard Hall and the outside parking lot. Shoppers can always something at a huge savings and this sale will be no exception. If you have any last-minute donations for the sale, please contact the church at 524-2070. The Orange Pealers, Bardsdale’s hand bell choir, will host a Mother’s Day Tea on Saturday, May 9. Attendees will enjoy a variety of teas and accompaniments as they view models strutting down the LeBard Hall Runway in fashions scoured from the Courtyard Sale. 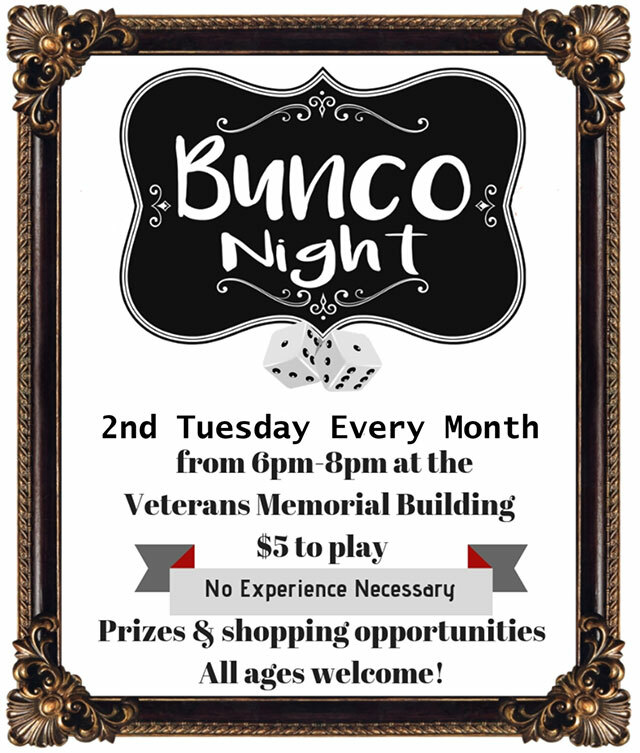 This fairly-new event has become extremely popular and the seating at the tables fill up fast. More information will come later but be sure to set this day aside. All are invited to worship at this country church which is located at 1498 Bardsdale Avenue, just south of Fillmore. Sunday service is at 10 am. Please join the pro-peace, pro-family rosary and procession on Saturday, March 21st, at Sheills Park, ending at Saint Francis of Assisi Church. 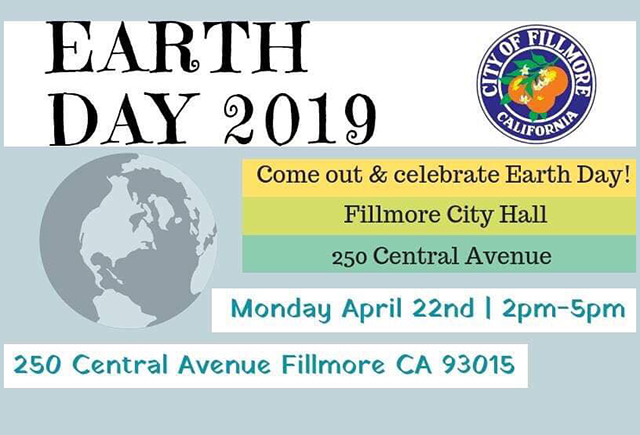 YOU ARE CORDIALLY invited to a Rosary Rally recently organized for Fillmore to strengthen and celebrate the family as designed by our Creator. 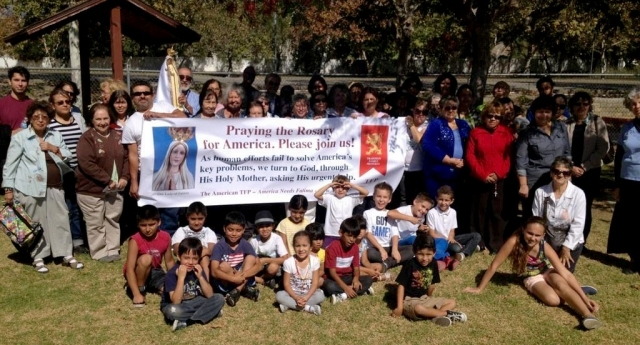 On Saturday, March 21, 2015, at 12 PM there will be a pro-peace and pro-family rosary and procession from Sheills Park to St. Francis of Assisi Church in the City of Fillmore. The participants will join in singing, and in the recitation of the Rosary and the Divine Mercy Chaplet, praying for the physical and spiritual health of members of their families, the community, the country and of the world. To clarify, the procession will take place from the park to the Church, NOT from the Church as previously stated. Our apologies for any confusion. 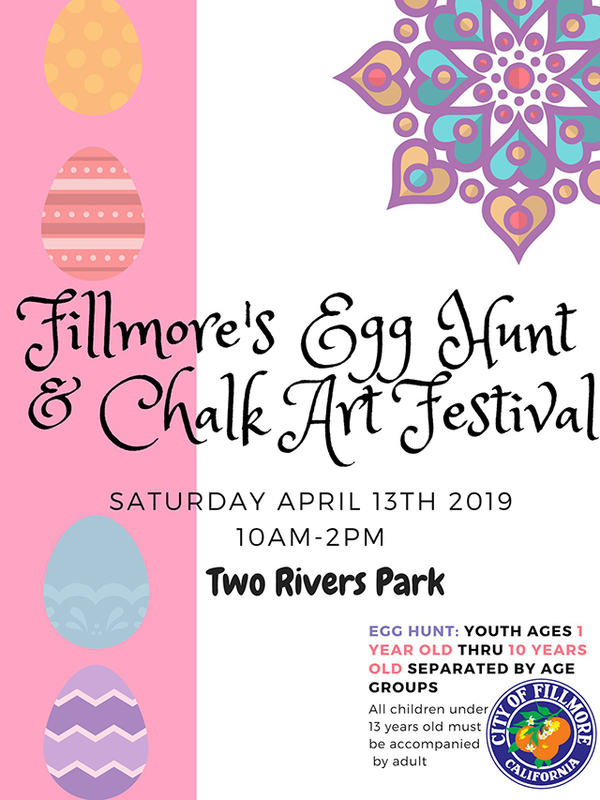 We hope to see you there at the park! 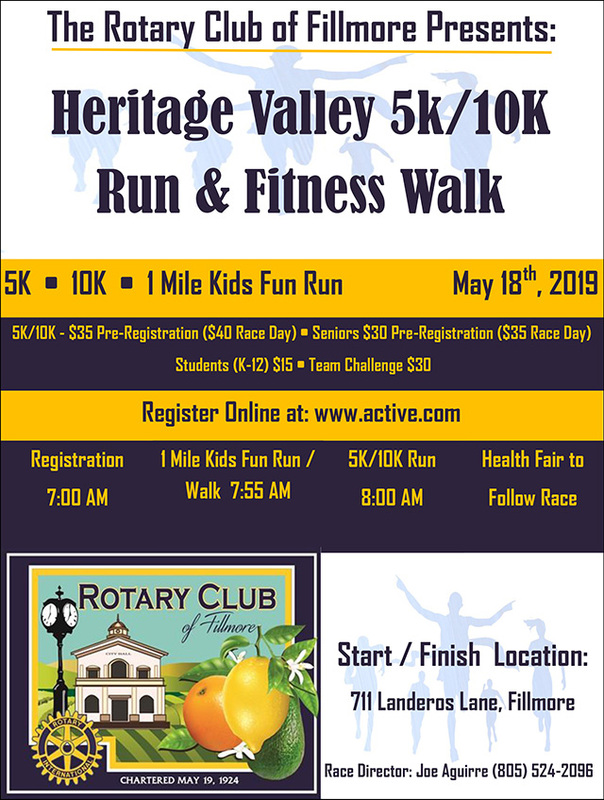 For any further information, please contact Darlene Lorenz at (805) 524-9929. 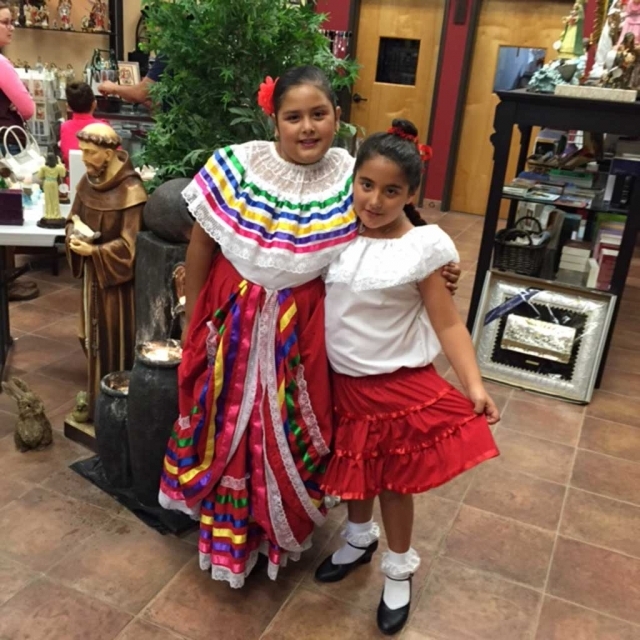 Saint Francis of Assisi Parish News "A rest Stop for the Soul!" Holy Mass Schedule Sat at 5PM Sunday Vigil 9:15 and 11:15AM in English 7AM, 1 and 6PM in Spanish. At our Parochial Mission San Salvador in Piru, the Mass Schedule is Saturday Vigil at 7PM and Sunday at 8:30AM in Spanish and an English Mass at 10AM. Father Norm will offer Two Amazing Lenten Reflections at Saint Francis. The first one is on Sunday March 22 at 4PM and the second one is on Monday March 23 at 7:30PM. Everyone in the community is invited to attend. We expect a packed church, please arrive early. Good Catholic reading is free and available at the pamphlet rack here at your parish. Start your Lenten journey learning more about your faith in short and easy pamphlet form that will inspire, inform, and help you to evangelize others. Wishing you a Holy and Blessed Lenten Season ! 7 PM Bilingual Mass Adoration in the hall till 12 midnight. The Adoration Chapel will close at 6PM on Holy Thursday and re-open on Easter Sunday after the first Mass 8AM Candles for the Blessed Sacrament can be picked up before Mass starts. courtyard with the blessing of the new candle. WELCOME TO SAINT FRANCIS OF ASSISI "A Rest Stop for the Soul"
If you have a pre-school child at home at least three years of age, check out the Friday Morning Storytime at Bardsdale United Methodist each Friday morning from 10 am until 11:30. Children hear stories and participate in other learning activities, enjoy a snack and have free play at no cost to their parent or grandparents who are invited to join the fun. Call Grandma Sharon at 524-0587 or the church at 524-2070 for more information. The church is located at 1498 Bardsdale Avenue.